As public dollars become tighter, the library budget is able to do more because of Friends of Appleton Public Library. Friends helps to fill the gap by funding programs and innovative services beyond the scope of public funds. 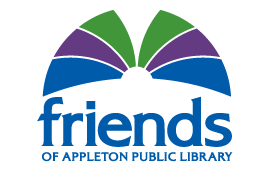 Over 95% of library programs are supported by Friends grants, which also are used to support the APL in developing technologies and other important services for the greater Appleton community. Do you love the library as much as we do? Then join the Friends of APL supporters e-mail list and receive updates on what's happening at the library and how you can help.